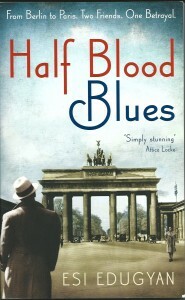 Sidney Griffiths is a competent Baltimore bass-player who finds himself in an integrated black-white-American-German-Jewish jazz band in Berlin, 1939. 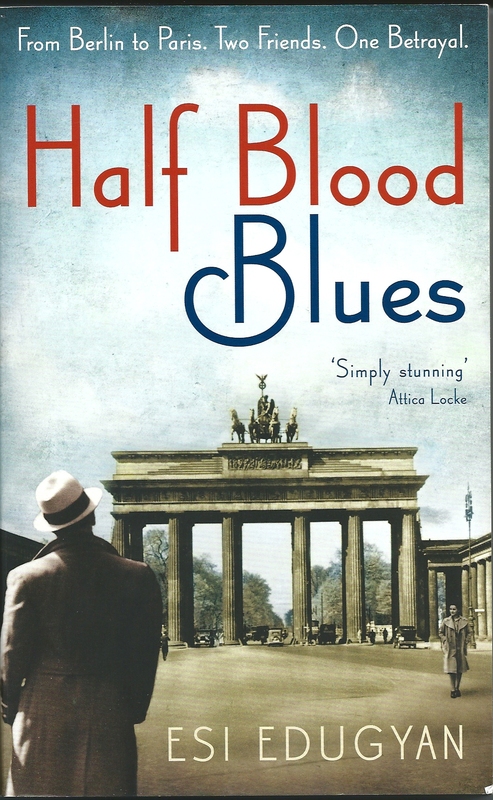 Sid’s story pivots on another band member, Hieronymous Falk – a black, German trumpeter of Louis Armstrong talents – who is arrested by the Nazis and never seen again; Sid is the only witness. Early on, Sid says, “Ain’t no man can outrun his fate.” and that pretty much sums up this story of guilt, jealousy, lies and responsibility as 50 years later, Sid and drummer Chip return to Berlin for a festival celebrating Falk’s (short) life and music. Having been shortlisted for the 2011 Man Booker prize, it’s no surprise that Esi Edugyan’s second novel is well-written but with jazz such a fundamental part of the plot, it begs the question, how faithful is it to the music? Very, is the answer. Edugyan paints a vivid picture of the brotherly rivalries, affections and tensions between musicians and how those would surely be exacerbated in an environment where jazz is outlawed as ‘degenerate’ by the state. However, the author doesn’t restrict herself to namechecking authentic 1930s German jazzers, dropping in the government-sponsored dance band, The Golden Seven or crediting the band’s postwar ‘discovery’ to John Hammond. When Sid, Chip and Falk manage to escape to Paris (just before the occupation) they meet and play with Louis Armstrong himself. This is an audacious fictional tactic and one which risks the ire of the jazz-listening reader, but she pulls it off. The Satchmo here is a warm, almost fatherly figure whose views on the Nazi threat are coloured by his childhood relationship with the Karnofsky family. As for the music, the occasional brief description is evocative, lyric and stands comparison with classic jazz-describers, Jack Kerouac and James Baldwin. Sure, the jazz is romanticised and escapist – Armstrong wasn’t in Paris in 1939 and the idea of an entire festival dedicated to a 50 years dead musician who only recorded a handful of sides is wishful – but it is beautifully written, the fiction is faithful to the fact and it’s the jazz backdrop that helps make it so much more than just another wartime buddy story.